A city landmark and an architectural jewel in 3D. 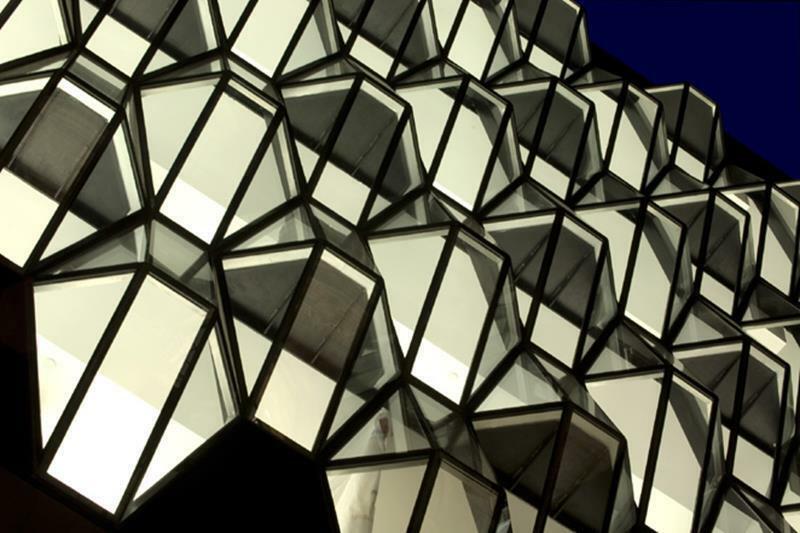 This 3D facade represents one of central London’s special eye-catchers and every day tourists can be seen staring at it in wonder and then taking photographs. 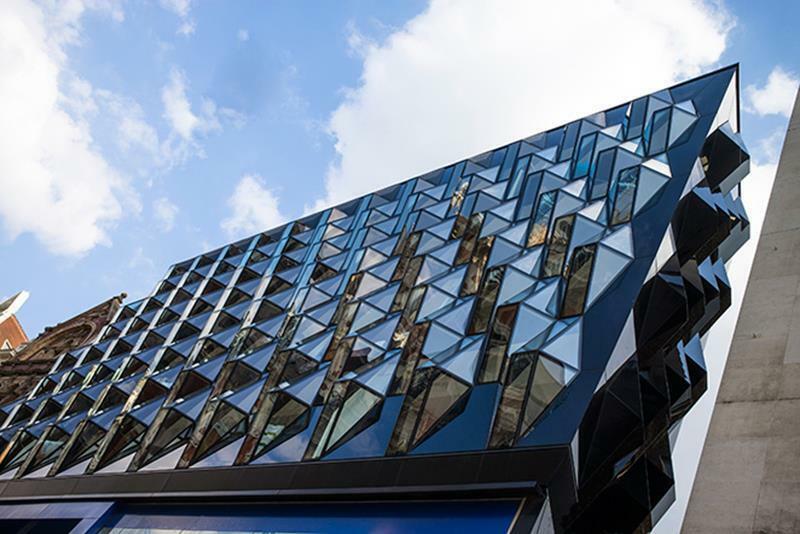 Indeed, an architectural magazine has described the facade as the, “Jewel of Oxford Street”. 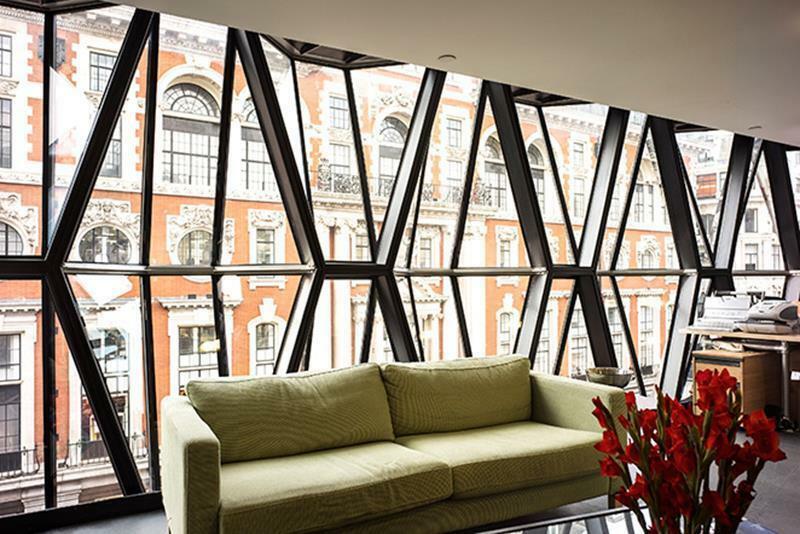 The project involved the refurbishment of a building dating from the 1950s. Special care had to be taken with regard to the businesses on the ground and first floors, as these had to remain open throughout the construction work. This was in spite of the fact that the upper floors were reduced to a skeleton, entirely renovated and fitted with a new facade. GIG completed the installation work for this complex contract in just twelve days and in addition to the main facade, a penthouse in mullion-transom-construction was erected on the roof. 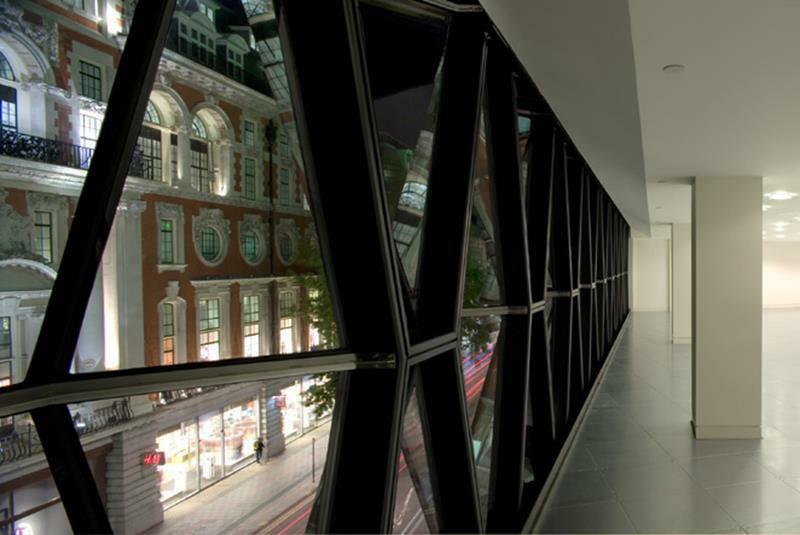 Punched windows, a lobby and diverse sheet facades were also supplied and installed. 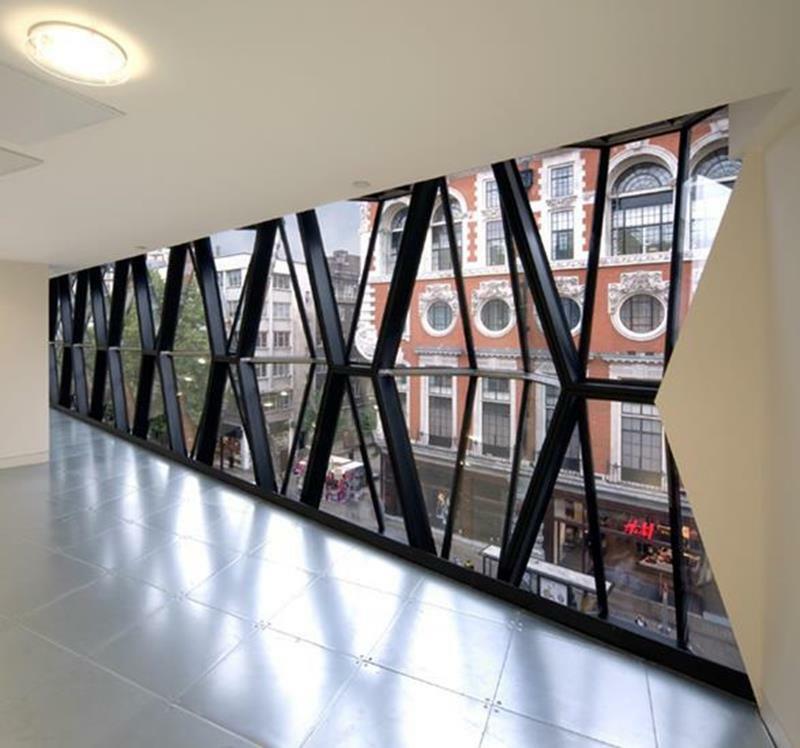 Apart from the impressive effects created by the exterior of the facade, the interior offers stunning views of Oxford Street from the walk-in bays in the facade elements.